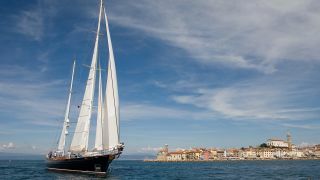 Find out how the proximity to the sea affected life in Piran. The town of salt and its undisputed tradition of salt harvesting grew in close connection to the sea. Dive into the depths of the Adriatic Sea, which gave life to many salt makers, seamen and fishermen. Discover the diversity of treasures still hidden underwater to this day. The interesting Underwater Museum of Sergej Mašera is located inside the Gabrielli Palace. You will also discover additional interesting facts about naval traditions in the former salt warehouse Monfort in Portorož, now an art gallery also displaying various vessels. How did the sea affect life in Piran?